Pirates are notoriously hard to capture. Their actions occur on the shifting, vast expanse of the open oceans. Perpetrators cannot simply be “arrested” by a conventional police force and, even if they are caught, it’s a challenge to prosecute an offender who by their very nature transcends borders. There is no single answer to the problem, particularly given pirates’ different guises and motivations. Yet a study of historical anti-piracy operations, both ancient and recent, does reveal one commonality in the repression of piracy: international cooperation. 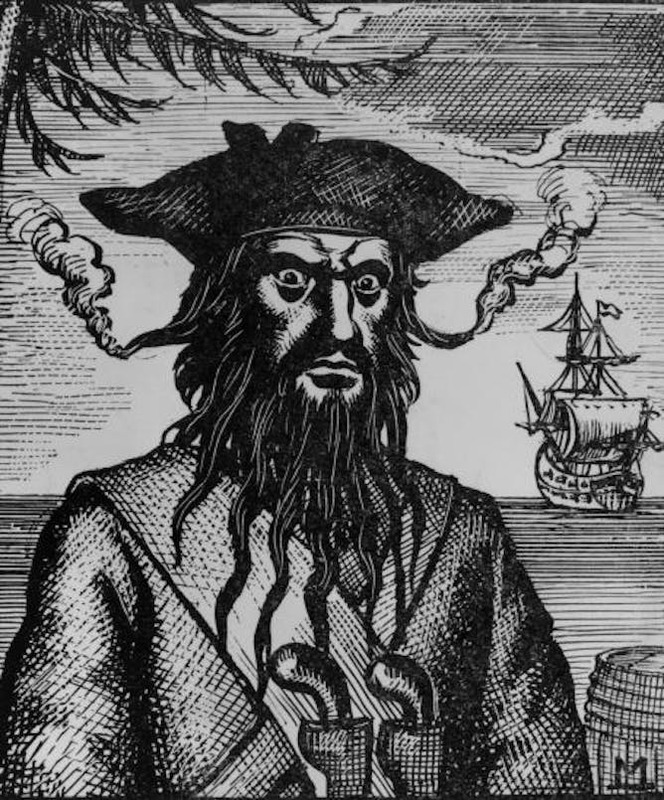 Blackbeard: poster boy of the ‘golden age’ of piracy. Pirates terrorised the Caribbean during the infamous “golden age” of piracy in the 1710s and 1720s. 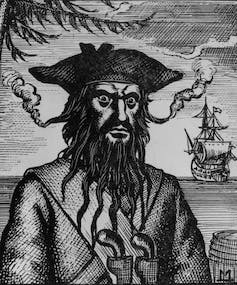 The escapades of these pirates – among them Blackbeard, “Black” Bart Roberts, Charles Vane and Anne Bonny – have long since passed into legend. Though their lives were full of adventure, their demise was brutal. Cooperation was the key to the pirates’ eventual eradication. The 1713 Peace of Utrecht ended over a decade of constant fighting among the colonial powers (Great Britain and Spain in particular). It allowed them to turn their attentions to the blight of piracy. The treaty called on signatories to “cause all pirates and sea-robbers to be apprehended and punished as they deserve, for a terror and example to others”. These words formed the basis for a successful campaign against the Caribbean pirates, with the colonial powers working together to defeat the antagonists. At a 1717 piracy trial in Boston, the condemned were informed by a preacher that “all nations agree to treat your tribe as the common enemies of mankind, and to extirpate them out of the world”. It seems likely the pirates would have persisted, but for this commonality of purpose. Justice was swift for those captured: pirates were usually tried and hanged within days of capture under the 1698 Act for the More Effectual Suppression of Piracy, a new anti-piracy law that allowed for trials in the British colonies. The trials were light on procedural protections, but they were effective: as many as 600 pirates were hanged in the British colonies alone between 1716 and 1726. To get around jurisdictional issues, courts espoused the principle of “universal jurisdiction”, the idea that any state may prosecute any pirate given the severity of the offence. It’s a valuable principle that, today, has become commonly accepted and enshrined in international law. It was the combination of cooperation and effective law, then, that put an end to piracy in the Caribbean. The same factors were brought to bear on the modern wave of piracy that blighted the Indian Ocean off the coast of Somalia in the early 2000s. Somali piracy first became a serious problem in 2005 and peaked in 2011, when 237 incidents were reported. The pirates of Somalia have since gone into decline, however, with only a handful of reported pirate attacks in the region since 2013. 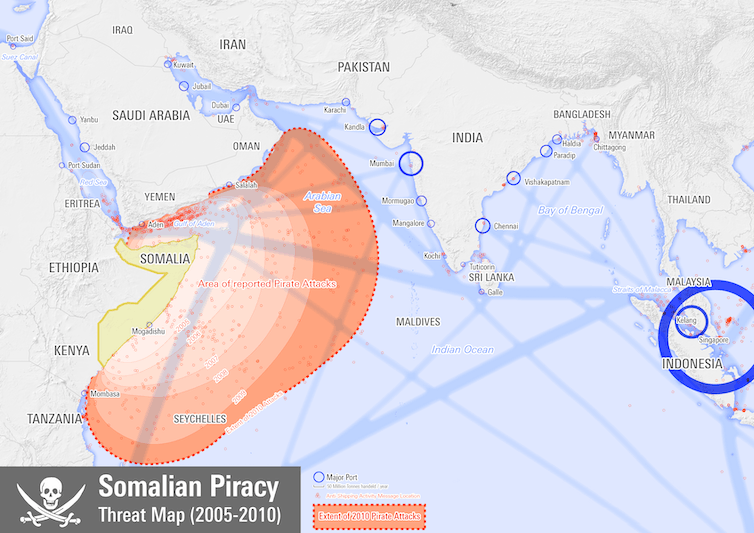 Extent of piracy near Somalia between 2005 and 2010.
International cooperation (pushed and promoted by the UN Security Council) has again proved to be essential to removing the threat, particularly given the regional power vacuum left by Somalia’s lack of governance. The EU-sponsored naval force, Operation Atalanta, proved especially invaluable in disrupting the threat, removing some 160 active pirates from the seas since beginning operations. The real success story here, though, is the way in which regional African legal systems were enhanced to deal with the problem, particularly with the assistance of the UN Office on Drugs and Crime. Trials take resources, expertise and dedication that are best obtained from international partners. In Kenya, The Seychelles, Mauritius, Tanzania, and Somalia itself, hundreds of suspects have been processed in purpose-built courtrooms, staffed by trained lawyers, using updated anti-piracy laws. The collapse of piracy in the region (notwithstanding recent isolated incidents) is a tremendous success story for international cooperation and problem sharing. It’s also a case study in building legal capacity, creating a robust platform for dealing with future outbreaks. Yet piracy is going nowhere anytime soon. The Gulf of Guinea and the seas of South-East Asia, both areas where valuable maritime trade clashes with lacklustre governance, have superseded East Africa as new “pirate hotspots” where successors to Blackbeard’s brethren continue to put maritime trade to the sword. New approaches are needed, and the root causes have to be addressed. Yet the core of any successful strategy will always be the same: international cooperation and unity of purpose. The international community must constantly unite against common threats, be they piracy, terrorism, or international crime.